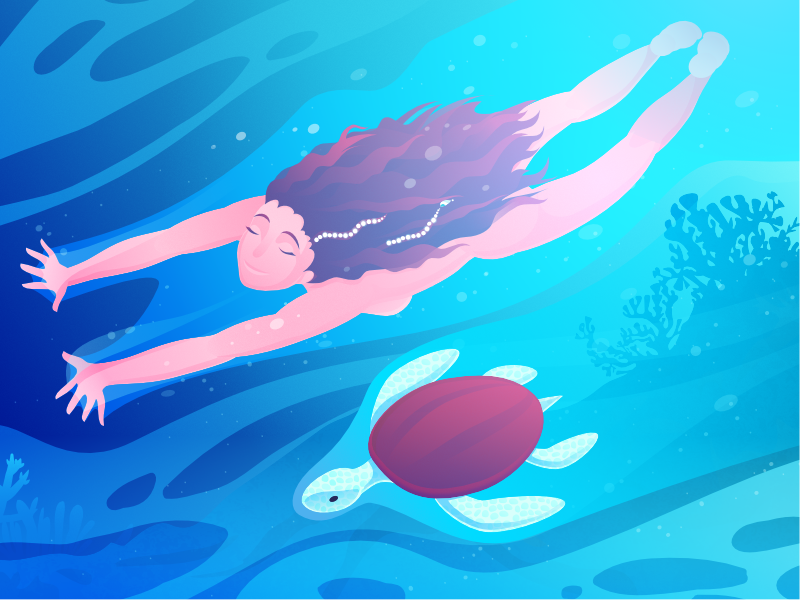 That’s an illustration inspired by The Red Turtle animated film I watched the other day. It’s actually a great film produced by Toshio Suzuki and Studio Ghibli that won multiple awards. It touched me, made me really emotional, so I just started drawing. It so happened that my job is also my hobby. And I actually believe it’s true for most creative people who were lucky enough to find a job where they can do what they love. Creating things can’t be just a job – it’s a way of life, it’s a natural reaction to anything that touches the nerve. Long story short, what you see above is kind of what I felt after watching the movie. I highly recommend it, by the way. Let me know if you liked the illustration and the movie!